THURSDAY, Nov. 1, 2018 (HealthDay News) — Alzheimer’s patients taking diabetes drugs may have fewer signs of dementia in their brains than similar patients not taking the drugs, new research finds. Specifically, the post-mortem study found that people who’d taken diabetes meds had fewer abnormalities in tiny blood vessels in their brains, and less abnormal gene activity. “The results of this study are important because they give us new insights for the treatment of Alzheimer’s disease,” said study senior author Vahram Haroutunian, a professor of psychiatry and neuroscience at the Icahn School of Medicine at Mount Sinai in New York City. Earlier studies on brain tissue showed that the brains of people who had Alzheimer’s and diabetes had fewer Alzheimer’s lesions than brains of people with Alzheimer’s with no diabetes. One Alzheimer’s expert said the study highlights the relationship between cardiovascular and brain health. The findings “remind us of how important it is to keep vascular risk factors under control as we age,” said Dr. Luca Giliberto. He’s assistant professor at the Litwin-Zucker Center for Alzheimer’s Disease and Memory Disorders at The Feinstein Institute for Medical Research in Manhasset, N.Y. They first used this method on the brains of 34 people who had been diagnosed with Alzheimer’s and type 2 diabetes treated with standard diabetes drugs. The researchers then compared those findings to an examination of 30 brains from people with Alzheimer’s who did not have diabetes, and 19 brains of people who had experienced neither disease. The study focused on changes in certain genetic “markers” tied closely to proper brain signaling. According to the researchers, levels of about half of these markers were lower in the vessels and brain tissue of patients who had both Alzheimer’s and diabetes. And the majority of the unhealthy genetic changes that are usually seen in Alzheimer’s were missing in patients who had taken diabetes drugs. 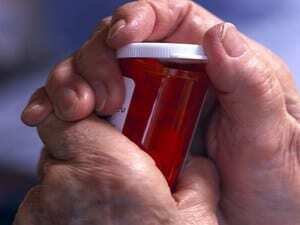 This all suggests that diabetes medications have a protective effect on the brains of Alzheimer’s patients, the researchers said, which in turn might boost the search for effective therapies. “Most modern Alzheimer’s treatments target amyloid plaques and haven’t succeeded in effectively treating the disease,” Haroutunian said in a Mount Sinai news release. But the new study focused on “insulin and diabetes medications such as metformin, [which are] FDA-approved and safely administered to millions of people,” he said. For his part, Giliberto said the results “are not surprising,” since experts have long noted links between diabetes’ effects on blood sugar and blood vessel health, and brain health. But he added that the study doesn’t prove that these issues cause Alzheimer’s, or whether diabetes medications could curb or stop the brain-wasting disease once it had begun. However, “treating chronic hyperglycemia will result in a reduction of further brain insult,” Giliberto reasoned. For people with Alzheimer’s disease, that “might result in better cognitive performance and quality of life,” he said. The findings could “open the door to a new pathway that may be of therapeutic use in patients with Alzheimer’s disease,” Bhusri said. The report was published online Nov. 1 in the journal PLOS One. The Alzheimer’s Association offers more on Alzheimer’s disease.